I love, love, loved 3 Doors Down Acoustic Jam!!! This was the very best concert that I have ever seen. Brad and the band were very personable, the setting had a good vibe and the music rocked! The show began with sound issues and two songs were totally silent. The rest of the show was good but not great. That’s a moment when you can give a little more - a longer jam, an acoustic song not on the set list or something to make up for losing the intro. Honestly Collective Soul stoke the show. They had energy and hit the crowd into the show. My husband and I had front row, this is an experience I will never forget, this band is very classy, the lead singer stopped and thank ALL service men for their service, very honorable thing to do. It’s always no nonsense with 3DD. They played an hour and a half straight of awesome rock n roll without stopping. It’s all about making it a great time for their fans that came to see great music. Their songs are amazing already but Brad and the boys bring something special to all their music when they play it live. The concert was excellent! All 3 bands gave it their best! I was surprised with how well I liked Soul Asylum! I only knew 1 song, and I liked everything they did!! I will be buying there CD’s! Collective Soul was amazing and gave out a lot of energy! They were all over the stage! They really rocked it all 1 hour and 10 minutes!! The 3 people I was with thought Collective Soul was the best out of the 3 bands! 3 Doors Down was my favorite and the best band of the night!! Brad Arnold out did himself last night!! His vocals were outstanding and sounded great! The whole band looked and sounded excellent! I would see these bands again! Collective Soul was wonderful. I would spend the money to just see them alone. 3 Doors Down was good. 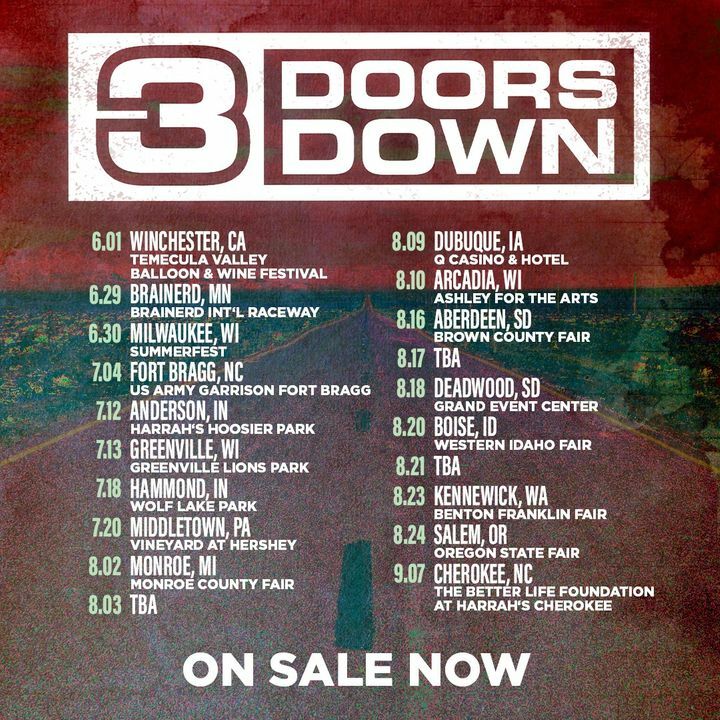 3 Doors Down Live is not as good as their recorded music. Thor music was a little monotonous for songs I was not as familiar with.